Michael is paralysed from the neck down. 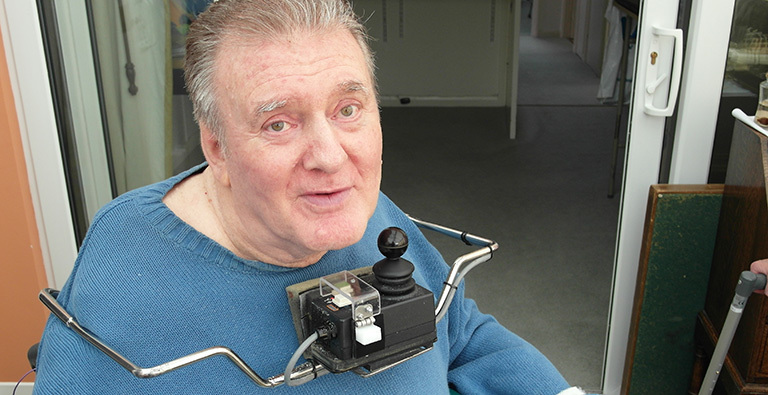 He operates the controls of his wheelchair with his chin, but doesn’t have the same level of control of his movements that he once did. If he accidentally presses two buttons at once the chair’s control system shuts down as a safety precaution and has to be reset. This had to be done by a carer so when Michael was on his own he was unable to move. Our team made a hinged protective cover for one of the switches which Michael is able to raise and lower with his chin in order to operate the second button when necessary. Michael is no longer in danger of being left stranded.